New 3Pack Of Men's Formal Trousers Black, Grey,Brown. Men’s fashion comprises a vast selection of men’s items such as men's clothes, men's shoes and men's accessories. In today’s world, fashion products for men have become more diverse and improved than they were decades ago. Today, your clothes, shoes, and accessories say a lot about you; your style, your class and your taste. Hence, selecting the right fashion items goes beyond just wanting to wear them but getting something that suits your identity. Men’s clothing consist of different types of fashion clothing for men. Men not only wear clothes for protection but to also make them look fashionable, good-looking and more handsome. Clothes for men include shirts, t-shirts, trousers, shorts and even underwear vests. As a rule, before setting out on a kind of clothing, you must ensure to dress appropriately for the occasion, be it formal or casual. Most men love shoes and would spend a ton as shoes say a whole lot about your personality. As with other fashion items, they come in different types as well from loafers to sneakers to brogues and more. The great thing about loafers and brogues is that they can be worn to both casual and formal events, unlike sneakers which are only most appropriate for casual and semi-formal occasions. Men’s Accessories are beautiful and are used to match your dressing. While they can be done without sometimes, they give your dressing a final touching and make you stand out. In fact, the test of how fashionable you are isn’t complete without accessories. Accessories include belts, cufflinks, wrist watches, wallets and so on. 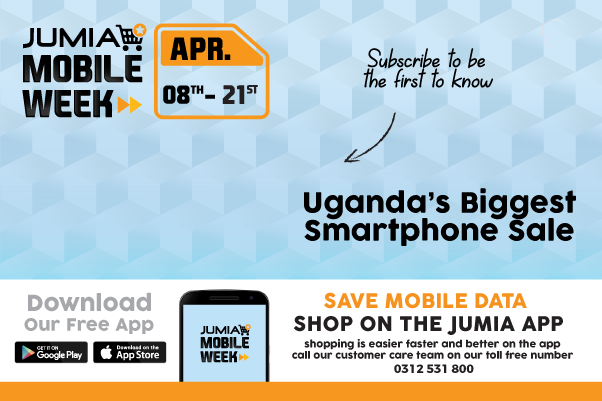 Get the best deals on all fashion items for men right here on Jumia Uganda. We provide you with a large selection of men’s fashion products including shoes, clothes and accessories all at the best prices and have them delivered to you at your convenience.